Ranger DYLUSIONS INK SPRAY SET OF 6 Dyan Reaveley RANGER107 at Simon Says STAMP! 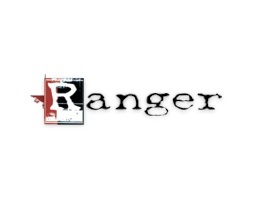 RANGER107 This item is on reserve until If you would like to reserve this item now, you may purchase it now with the rest of your order. We will hold your order now and ship your entire order as soon as this item is back into stock. If you would like your order to ship now, please place this item on a separate order. Success, Ranger DYLUSIONS INK SPRAY SET OF 6 Dyan Reaveley RANGER107 has been shared! Dylusions Ink Spray dyes are a high quality, acid-free, non-toxic concentrated colorant for porous surfaces. The Dylusions Ink Sprays' bright and vibrant palette will colorize paper, Sticky Back Canvas, wood, paper, clay and more. Use to create backgrounds on cards, scrapbook and journal pages, and in mixed media art projects. Available in many splendid colors. 2 oz. bottles.